Myanmar’s first democratically elected civilian government in decades has prosecuted large numbers of peaceful critics in violation of basic human rights, Human Rights Watch said in a report released on Friday. Concerned governments should press Myanmar to protect the rights to expression and assembly, and reform laws penalizing peaceful speech to bring them in line with international standards. 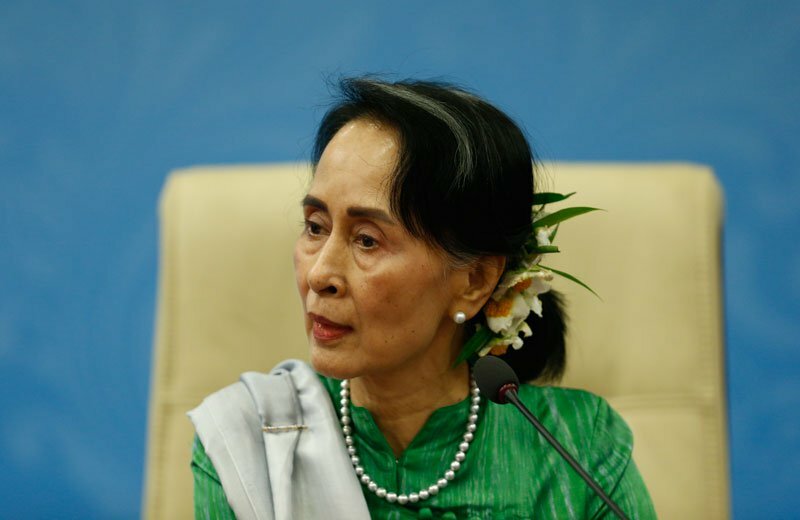 The 87-page report, “Dashed Hopes: The Criminalization of Peaceful Expression in Myanmar,” documents the use of broad and vaguely worded laws against activists, journalists, and ordinary citizens by Aung San Suu Kyi’s National League for Democracy-led government. While discussion of a wide range of topics now flourishes in the media and online, those speaking critically of the government, military, or their officials, as well as abuses in Rakhine or Kachin States, are frequently subject to arrest and prosecution. “Abuses against the press under Myanmar’s new government have been particularly striking,” said Linda Lakhdhir, Asia legal advisor at Human Rights Watch and author of the report. The report, based on interviews in Myanmar and analysis of legal and policy changes since 2016, examines the use of laws including the Telecommunications Law, Peaceful Assembly and Peaceful Procession Law, and Myanmar’s penal code. The government should stop using criminal laws against peaceful speech and assembly and undertake legislative reforms to better protect freedom of expression, assembly, and the media, Human Rights Watch said. The new government’s use of section 66(d) of the Telecommunications Law has soared. That law and others that make defamation a criminal offense have been repeatedly used to prosecute people criticizing or ‘insulting’ the government or military, or somehow casting them in an unfavorable light. In December 2018, in just one recent example, three peace activists were convicted of defaming the military after urging protection for people displaced by renewed fighting in Kachin State. In April, eight high school students were convicted of defaming the military in a satirical anti-war play, while the man who live-streamed the play was convicted of violating section 66(d). Journalists have been arrested under the Telecommunications Law, Unlawful Associations Act, Official Secrets Act, News Media Law, and Aircraft Act of 1934. In a case that gained global attention, two Reuters journalists, Wa Lone and Kyaw Soe Oo, were sentenced to seven years in prison for violating the colonial-era Official Secrets Act in apparent retaliation after they uncovered a massacre of ethnic Rohingya in the village of Inn Din. Journalists have also been denied access to conflict areas and to information about government policies and programmes. The many arrests and prosecutions have had a severe chilling effect on journalists in the country, Human Rights Watch said. “Aung San Suu Kyi’s government has had a real opportunity to abolish the tools of oppression used by the military juntas, but has instead used them against peaceful critics and protesters,” Lakhdhir said. “It’s not too late to reverse course and take steps to fully protect speech and assembly in Myanmar.